Joshua Pollock is a student of Kamlesh D. Patel. After experimenting with various meditative practices, Joshua started practicing Heartfulness in the United States in 2002 and has taught it since 2007. He regularly teaches Heartfulness at universities, corporations, government institutions, and at public seminars. An accomplished violinist, Joshua has performed and taught all over the world. He holds a Bachelor of Musical Arts from Indiana University and two Masters degrees from the Guildhall School of Music and Drama in London. In August of 2015, he was invited by Daaji to co author this book. Thank you so much for this interview, Daaji. Can we begin by having you tell us why you wrote your book, The Heartfulness Way: Heart-Based Meditations for Spiritual Transformation? Daaji: Thank you also. Well, in today’s world people seem to have access to everything, instantaneously, at the click of their fingers, but there isn’t so much happiness and joy abounding. Many people say they feel like mice on a training wheel, going round and round in circles in their day-to-day activities, but without any understanding of why they are here and how they can work with their destiny. To bring a sense of purpose and fulfillment to life, it is important to nourish all aspects of our humanity – not only the physical body, but also the mind, the heart and the soul. For this we need some simple tools. The Heartfulness Way provides those tools so that we can live peaceful, contented lives with purpose and direction. Also, often we get bogged down in emotional issues and concerns, and we don’t know how to manage these and rise above them – it could be that someone hurts us, or we are angry or worried or fearful. By working with the feeling level of the heart, through Heartfulness Meditation, and learning to let go of emotional reactions that are the cause of our suffering, we can more easily rise above hardship and suffering, and learn to accept and move on. This helps in developing healthy relationships as well as in personal growth. You call it heart-centered. Can you explain to us what exactly that means in relation to your book? Daaji: When we describe a person, do we define them as soft-hearted or soft-minded? Kind-hearted or kind-minded? Stone-hearted or stone-minded? Our language shows us what we already know; that feelings and character emanate from the heart. Most of the qualities we value as human are heart-based; qualities like love, compassion, empathy, courage and willpower. When we explore this idea more deeply through yogic science, we realize that the heart is the field of action for the mind. What does this mean? Our mental functions are primarily the four functions of consciousness, thinking, intellect and ego. All of them are essential for existence, but on their own they are only instruments, and they can be used for good or for bad purpose. They need the guidance and direction of the heart’s conscience. Just as a sharp knife can be used to cut vegetables for dinner or to hurt another person, the functions of the mind are also dependent on the heart’s purpose. For example, intellect can be used just as effectively by a criminal mind to rob a bank as it can be used by a noble person to help others. It is also why scientists were able to develop something as destructive as the atom bomb, even though they were inherently good people – they used the mind for scientific research without letting the conscience of the heart rule. Right now we need heart. Our human species has reached a tipping point in its evolution because we have treated our planet Earth as something to be pillaged; we have effectively destroyed our own environment through greed and thoughtlessness. We have also hurt and destroyed our fellow human beings through prejudice leading to war and subjugation. Only when enough people let the heart rule will this situation be remedied. It is time. You are considered a spiritual master. How long did it take you before you discovered your gift? Daaji: There are many misconceptions about spiritual masters, gurus and mystics. In fact, often they have gained a bad reputation for taking advantage of ordinary people. Just like in any other field, in spirituality there are genuine teachers and there are charlatans; and there are those with different levels of experience and skill. Really speaking, a master is someone who has mastered himself or herself and is willing to help others along the same path of self-mastery. There is nothing glorious about such a role – it is a role of service and humility, of insignificance and surrender. Really I am still a student of spirituality and always will be. Withoutt always improving myself, how can I possibly help others to do so? We are all in this together as fellow travelers on the march to freedom. My interest in spirituality has been there from birth, but it has taken many years for it to evolve into an ability, a gift, that can help others. It is thanks to the training I have received from my spiritual Masters that this has happened. Aside from reading your book, where would one go to find their spiritual sanctuary? Daaji: That is the easy part – inside ourselves! All religious and spiritual traditions accept that the divine principle we know as God is everywhere. It is omnipresent, omnipotent and omniscient. So God is within us, and that is the easiest place to connect with the Divine. That is the basis of Heartfulness Meditation – we are meditating upon the source of divine light within our own hearts when we meditate, and uncovering our own spiritual nature. This we can do anywhere at any time. Sometimes it can also be useful to visit a meditation center, an ashram or a retreat center, in order to detach from the daily routine and establish a meditation practice, which can then be integrated into daily life. In our Heartfulness Centers there are many certified trainers who can help to initiate you into this practice and continue to support you on the journey. This is done through the ancient practice of Yogic Transmission or Pranahuti. 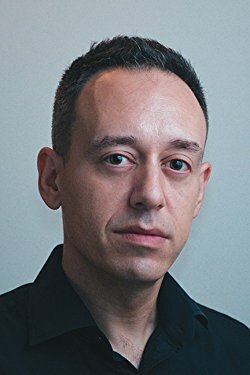 Where did you meet your co-author, Joshua Pollock, and how did you and he get the idea to write your book? Daaji: I first met Joshua in New York City, where I lived and worked as a pharmacist for many years. I had been practicing Heartfulness since my college days in India and met him after he started this practice. 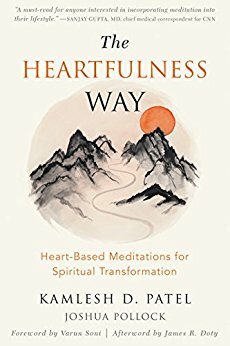 Later on we both moved to India, and for a period of a couple of years, as a dedicated practitioner, he was often asking questions about the practice and philosophy of Heartfulness, so we decided to share these question and answer sessions in the form of a book for the benefit of others. Meditation is key to spiritual living I believe. What can you tell people about meditation that will convince them to start practicing it and incorporating it into daily life? Daaji: Meditation is something we do most days without knowing it. It simply means to focus on one thing continuously – at least in the beginning. For example, if a little child wants a particular doll, she will meditate on it night and day, sometimes even dreaming about it until her parents give it to her as a gift on her birthday or a festival day. When a young couple is in love, they will meditate upon each other even while they are at work or with other people. People can meditate on money or power, on positive suggestions or on a spiritual goal. It is the object of meditation that matters: what do you want to become? Of course, you can choose to simply drift in life without a purpose or goal, but for anyone who wants a life of purpose and fulfillment, meditation is the most practical simple tool to direct your mind towards that purpose. It is for this reason that for thousands of years meditation has been used as a spiritual technique for regulating and focusing the mind towards a higher purpose in life. It is so simple and effective, and it also brings about ‘skill in action’ in worldly pursuits. It keeps your mind flexible, clear and sharp, your heart open and loving, your ego under control, and your intellect open to wisdom and conscience. We all know the benefits of physical training for the body – meditation is mental training for the mind. Like any other skill it takes practice, but that just requires interest and willingness to allocate the time, just a few minutes every day. And our certified trainers guide you through the practices until you are comfortable enough to practice them on your own. So much support is given and there is always a community of like-minded people to meet at our Heartfulness Centers. Can you leave us with a meditation that will open up our eyes to our spirituality? First, please sit comfortably, either cross-legged on the floor or on a chair, and relax yourself. 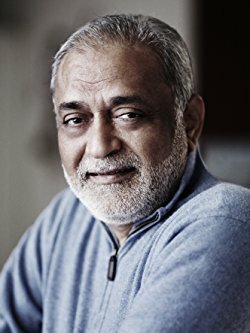 Our guided Heartfulness Relaxation is available online at https://www.youtube.com/watch?v=MYmSycW_Ayo to help you to relax, but for now simply do your best to relax. Scan your system to see how you feel, and make a mental note of it. Once you feel relaxed, bring your attention to your heart. Then make a very light suggestion to yourself that the source of divine light already present in your heart is drawing you inwards. Don’t try to concentrate or force your mind in any way. Let it be very natural. You will probably have other thoughts surfacing, and that is normal. Simply let them go as they surface, like you are witnessing passing clouds in the sky. Neither repress them or indulge them; just let them go and gently come back to the source of divine light in your heart. Meditate like this for fifteen minutes, and at the end take a few more minutes to again scan your system to see how you feel. Notice if there is any change. If you would like to experience this meditation with a certified Heartfulness trainer, i.e. aided by Pranahuti or Transmission, please contact us at http://heartspots.heartfulness.org to find one near you. By comparing the meditation with and without Transmission, you will soon understand the benefit of Transmission, which is the specialty of Heartfulness.